A bathroom remodel is one of the best ways to upgrade your home's appearance and function. 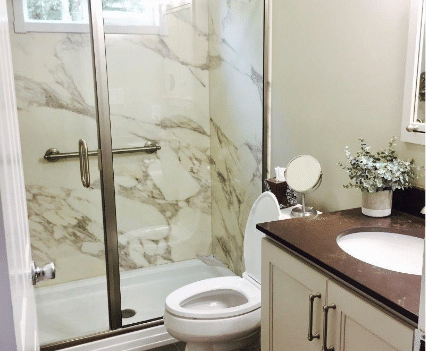 If you've been wanting to update your bathroom fixtures, change the layout, or make any other improvements, Kuhn Construction are the local remodeling contractors you need! 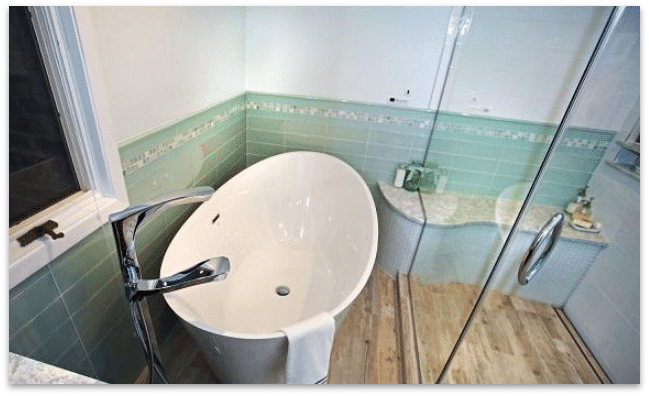 We provide complete bathroom design and remodeling services, including bathroom vanities, shower and tub installation, tub conversions, fixtures, and custom design plans. No matter what vision you have for your bathroom, we can turn it into reality. 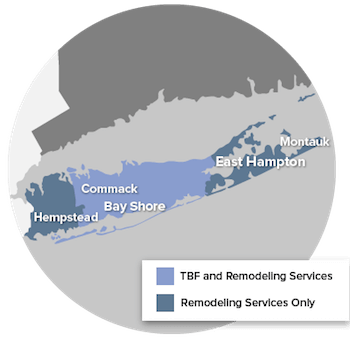 We offer free design consultations and estimates in Brookhaven, Islip, Smithtown and throughout our entire New York service area. Call us at 1-844-801-2652 today or contact us online to get started! The right vanity is an essential part of any bathroom remodel. We can install single, double, and custom vanities that fit your design and provide the storage and space you need. We also offer a wide array of countertops, sinks, mirrors, fixtures, and lighting to help you complete your new bathroom design. The bathtub or shower is the central feature of the bathroom, and we can help you with any of your needs. 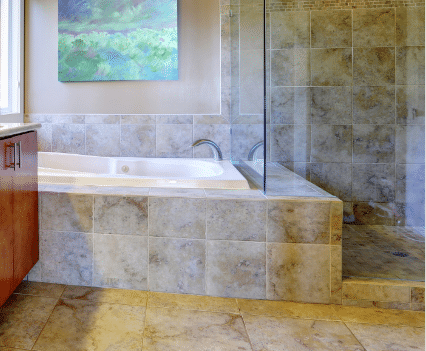 We offer tub to shower conversions, custom tub and shower installation, surrounds, tile, doors, and fixtures, all of which will be designed to perfectly fit your needs and style. Flooring is a huge element of your bathroom design, and our experts can help you choose from a wide range of colors, styles, and textures for your flooring. Our tile pros will provide you with a quality installation that gives you a durable floor that looks great. Upgrade your home with expert bathroom remodeling!